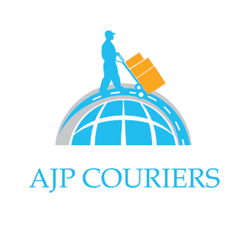 We are now delighted to provide our same day and next day courier services in Chester and the surrounding areas, from both our Wrexham and Warrington bases. Situated just down the road from our Wrexham and Warrington bases, 20 minutes and 35 minutes drive respectively, we are ready and waiting to collect your urgent goods within the hour, and deliver them directly! Whether you’re one of the large financial businesses based in Chester itself or a smaller engineering business based on one of the industrial estates in Deeside, we treat our all of our customers with the upmost professionalism and integrity, regardless of size or regularity of work. We specialise in and offer logistical solutions for urgent, time-sensitive, high value, fragile, delicate, oversized, heavy, awkward and unusual consignments. Whether it is an oversized pallet that needs delivering to a construction site, or high-value computer equipment that needs delivering carefully to a customer of yours, we’ve got you covered! Wherever you may be in the Chester area, one of our team of committed and punctual drivers can be with you within an hour of booking and deliver directly to the destination(s) of your choice. As well as our ‘Express Same Day’ service, we offer more flexible same day and next day services for less time critical consignments. Founded by the Romans in AD 79, Chester is a historic city with a fascinating past. A civilian settlement grew around what was a military base back then, which probably originated from trade with the fortress. The fortress in Chester was much larger than other fortresses built in the Roman province of Britannia and was originally intended to become the capital of the Roman province of Britannia Superior. There was a civilian amphitheatre, which was built in the 1st century. It is the largest known military amphitheatre in Britain, seating between 8,000 and 10,000 people. The Minerva Shrine in the Roman quarry is the only rock cut Roman shrine still in situ in Britain. Chester played a large part in the Industrial Revolution which began in the latter part of the 18th century, with its close proximity to the Shropshire Union Canal and two railway stations in the town itself. Modern day Chester has moved on quite a bit since then, displaying many new buildings and business parks around the city and surrounding areas. Chester’s economy is largely based in the service industry, with tourism, retail, public administration and financial services. Aviation features heavily too with Airbus being based just outside of Chester in Broughton, providing great employment opportunities to many of the residents of Chester and surrounding areas. Chester is positioned well in terms of transport links, with many major roads running through or just outside the city. These include the M53 motorway towards the Wirral and Liverpool and the M56 motorway towards Manchester. Other main routes include the A55 and A483 roads which provide great access to the North, Middle and South of Wales. Chester is also synonymous with sport too, with Horse Racing and Football being the two that the city is most famous for. The racecourse at Chester is the oldest racecourse still in use in England and is one of the smallest but liveliest courses in Britain. It is also one of the only racecourses in Britain where spectators can actually watch the horse racing from the inside of the track, as well as the outside. Unfortunately, the city’s local football club Chester City FC, went out of business in 2010. However, not long after going out of business, a new club was formed called Chester FC. They are currently members of the National League, or the conference as it was formally known, and play their home matches at their old stomping ground The Deva Stadium.